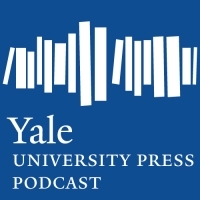 Yale University Press offers highly competitive internship opportunities for those interested in publishing in a variety of areas: Acquisitions Editorial, Art Workshop, Intellectual Property/Administration, Marketing, Manuscript Editorial, New Business Development, Production/Design, Publicity and Sales. This program is an opportunity for students with a serious interest in scholarly publishing to gain a worthwhile educational experience in scholarly publishing. Interns will have the opportunity to observe and ask questions about the internal operations of the Press. The value of this internship is to both gain experience in a professional publishing work environment and to show a potential employer your skills and abilities as they relate to publishing. Each summer intern will receive at a rate of $12.75 per hour. The program is 30 hours per week. Applicants must be able to commit to the 10 week program from June 3, 2019 to August 9, 2019 for consideration in the program. All applications are due by Monday, February 18, 2019. Applications will not be accepted after this date. Due to the high volume of applicants, students who are granted internships will be notified after 3/4/19. Please be patient when you are waiting to hear about your application status. If you have not received an offer by 3/22/19 you have not been granted an internship opportunity for this year’s program. Internships are open to undergraduate, graduate students, and recent graduates within a year of graduation from an undergraduate or graduate program. Yale University Press does NOT sponsor work visas. Applications will be accepted only in the form of Microsoft Word or Adobe PDF formatting. Each application must include a Cover Letter and Résumé. Emails must indicate which department/s you are applying to both in the email subject line and in the Cover Letter. Only complete applications that meet the above guidelines will be considered. The intern will have the opportunity to see the publishing world from the ground up by having an inside seat in the department where it all begins. The student will learn a facet unique to academic publishing by having first-hand experience with the peer review process. Under the supervision of Editorial Assistants and Assistant Editors, the acquisitions intern will research readers to review manuscripts and witness the process a manuscript goes through from proposal to accepted book. Through this research, the student will also learn how to interact with prominent figures in their individual disciplines of acquisitions. The intern will also be invited to observe and learn the process of evaluating manuscripts that are received from the public, literary agents, and prior in-house authors. This experience will include reading manuscripts, summarizing them, and learning how to prepare them for the next phase of publishing: editing and production. Yale University Press is known for its prestigious art and architecture list, which includes both scholarly monographs and exhibition catalogues. An internship with the Art Workshop offers a wide variety of experience working with illustrated books, and interns will have the unique opportunity to learn about all aspects of the publishing process, from acquisitions and manuscript editorial to production to marketing. Working under the supervision of the Editorial and Production Assistant, interns will be asked to work on projects such as text and art preparation; descriptive writing for internal memos; proofreading; and sales and marketing research. A background or demonstrated interest in art history and/or architectural history is required. The selected candidate will be a strong writer, detail oriented, and possess superior organizational and time management skills and the ability to work independently. The Intellectual Property intern works closely with the Contracts Associate and the Director of Legal Affairs. This intern will have the opportunity to learn about aspects of intellectual property law and contracts in academic book publishing, including standard author contracts, agented contracts, rights agreements, subsidiary rights, permissions, and copyright. This is an excellent opportunity for someone interested in academic publishing and/or law to experience the fast-paced world of scholarly publishing. The selected candidate will possess analytical, critical analysis, and superior organizational skills. The Manuscript Editorial Department shepherds manuscripts through editing and production, from their acceptance for editing to their publication as books. Manuscript editors are responsible for copyediting and for coordinating the proofreading and correcting of typeset text and illustrations. They work with authors, freelancers, and in-house colleagues. Interns will work closely with the manuscript editors and assist them with various stages of the process. This will include opportunities to gain hands-on experience by learning Chicago Manual of Style and house styles and processes and then applying this knowledge to checking proofs and indexes at various stages, with appropriate supervision and feedback. Academic Marketing is responsible for promoting select Yale University Press books to the educational community to encourage and secure course adoption. The department handles the coordination of exhibits, print advertising, catalogue production, and direct mail outreach in both print and digital forms. Under the supervision of the Assistant Educational Marketing Manager, summer interns will assist with various aspects of work which may include research assignments, culling scholarly citations from reviews, assisting with catalogue production, creating flyers, and organizing data for ongoing projects. Experience with Excel, HTML/CSS, Photoshop, and InDesign a plus. Online Marketing is responsible for the creation and execution of digital marketing strategies across social media channels and Yale University Press web spaces. Summer interns will assist with various aspects of work in the department, under the supervision of the Online Marketing Manager, which may include assisting with the blog from pitching authors for original pieces to copyediting to maintaining publishing schedule, researching digital advertising opportunities, creating social media content, testing websites, and assisting with email marketing. Experience with WordPress, HTML/CSS, Photoshop, and InDesign a plus. Are you interested in what it is like to develop a new product? The New Business and Product Development team is seeking a bright, curious, and highly analytical intern who is interested in helping us grow new business areas of digital publishing for Yale University Press. Actively participate in helping shape our new digital products through research, competitive analysis, business modeling, user and site testing. We will help you hone or build new skills in product management and roll-out; you will gain real-world digital publishing experience! The Production Department is responsible for coordinating the production and manufacturing of each book: making a schedule; trafficking materials between designers, acquisitions editors, and manuscript editors; estimating costs; and communicating with typesetters and printers. The department summer intern will have an opportunity to learn about book-making behind the scenes and will aid in various duties, including assisting the Reprint Controller with purchase orders, tracking schedules, and processing invoices for reprints; and data entry in the Press central database and inventory systems. In addition, the intern will assist in various ways—from image research to metadata preparation—with YUP’s new Art & Architecture ePortal, allowing the opportunity to gain insight into electronic publishing. Good organizational skills, experience with data entry, invoice-processing experience, and knowledge of Microsoft Excel and Adobe InDesign are preferred. The Publicity Department is responsible for working with the media to increase the coverage of YUP books in print, radio, TV, and online venues. Publicists send out books (including mailings of galleys and advance copies) to prospective reviewers, handle incoming requests from various media, create press releases, and schedule author interviews. Summer interns will gain hands-on experience in a publicity department as they work under the supervision of the publicity assistant. Interns will learn how to liaise with media contacts, assist in the production of promotional materials, track media coverage, and mail galleys to media. In addition, interns will have the opportunity to work on long-term projects such as compiling our holiday gift book catalog, which is mailed at the end of the summer. Interns will also be able to attend major staff meetings, including Seasonal Launch, in which editors for the Acquisitions department present upcoming titles. The Sales department works with accounts of all types, mainly retailers and distributors, on placement of our forthcoming titles, and maintenance of backlist, through strong buyer relationships and special sales. Under the supervision of the Sales Assistant, the intern is responsible for generating a variety of sales and inventory reports for analysis; outreach and support for book sales at author events; special sales research; and other projects as they arise. The intern will have the opportunity to attend press-wide launch meetings and monthly marketing meetings. After completion of this internship, the student will understand how the sales department functions within Yale’s publishing program and the marketplace in general. This is an excellent opportunity for students interested in book publishing, marketing, or business. For more information about Yale University Press, browse our web site:yalebooks.yale.edu.